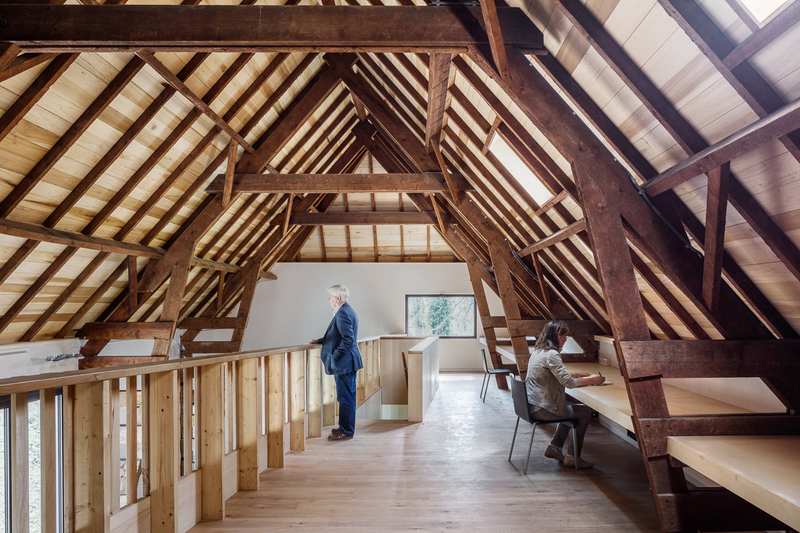 Reset Architecture transforms a barn at a historical estate into a museum. The Museum Roman Halder houses archaeological artifacts. 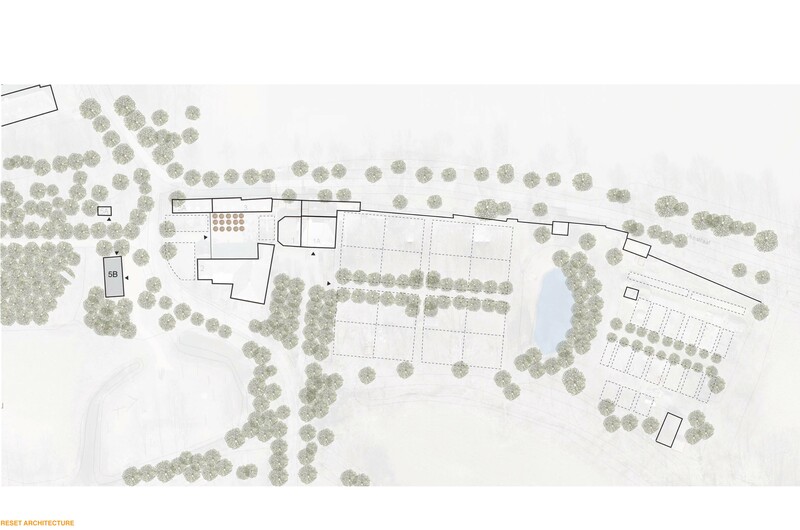 This project addresses a current theme of the changing countryside that is no longer mainly used for agriculture. Within this context of change the intention of this project originated from preservation; sharing the past of a beautiful location. The architecture of this adaptive reuse project does not react to history in a nostalgic or thematic way, it uses a more context sensitive approach. The interior has changed to a level in which the old and new merge but still are, without hierarchy, visually present. 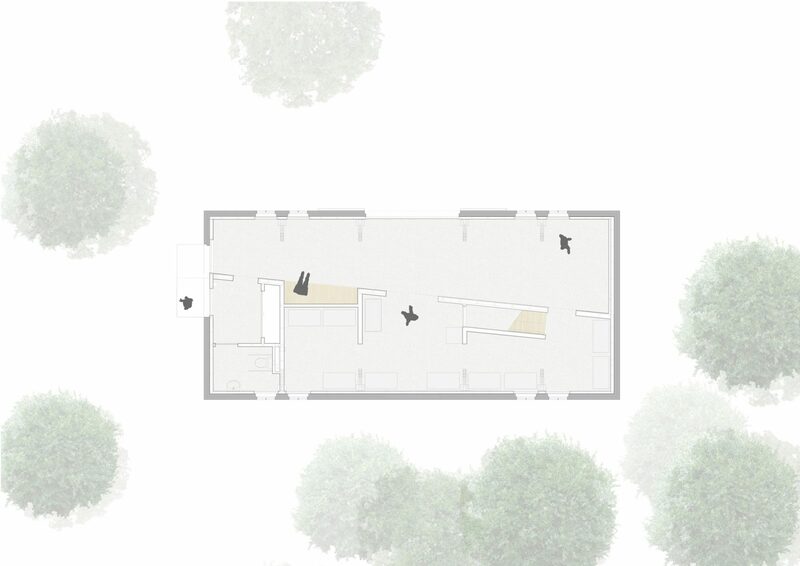 As a result the new setting evokes a self-evident presence that relates to the characteristics of the natural scenery. Halder was a notable settlement where pottery and metal objects where produced during Roman times. 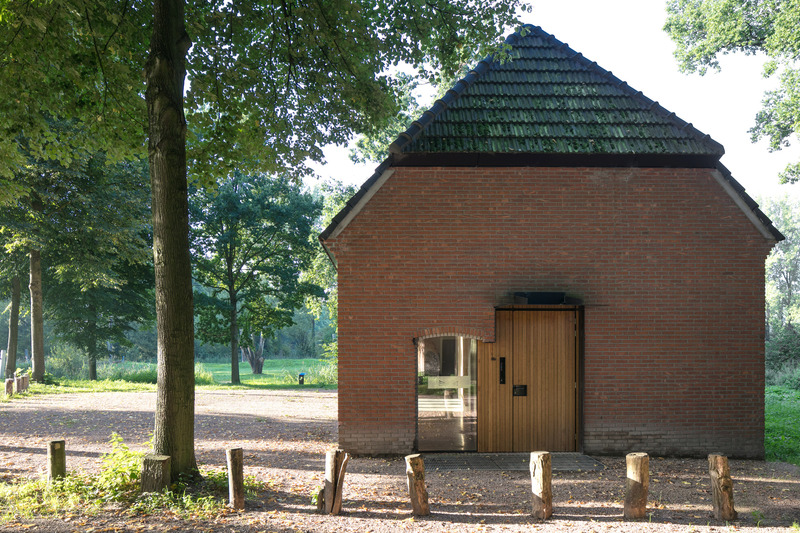 Nearby the archaeological site, the museum is set up at the Haanwijk estate. 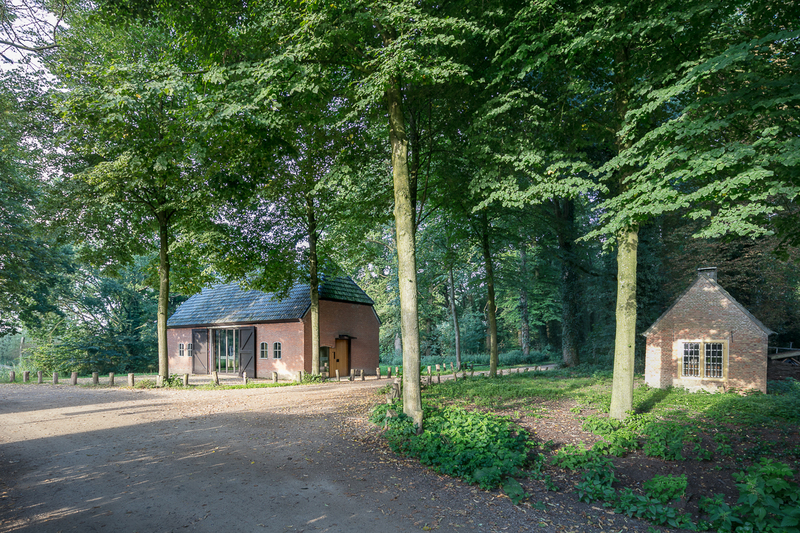 The 17th century estate is located in a beautiful nature area at the river Dommel, located in-between Eindhoven and ’s-Hertogenbosch in the Netherlands. A system of well-perceived tree lanes, woods and fields provide a surprisingly quiet countryside feel, situated not far away from urban surroundings. The new museum accentuates the societal value and historical significance of the site. 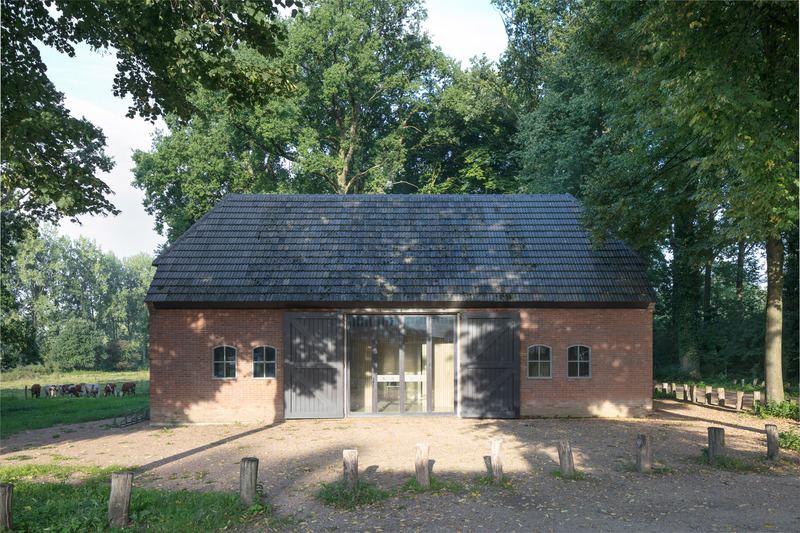 It is the start of further big plans to musealise the nature reserve and renovation of the listed buildings on the estate by the owner; Nature Association Brabantslandschap. 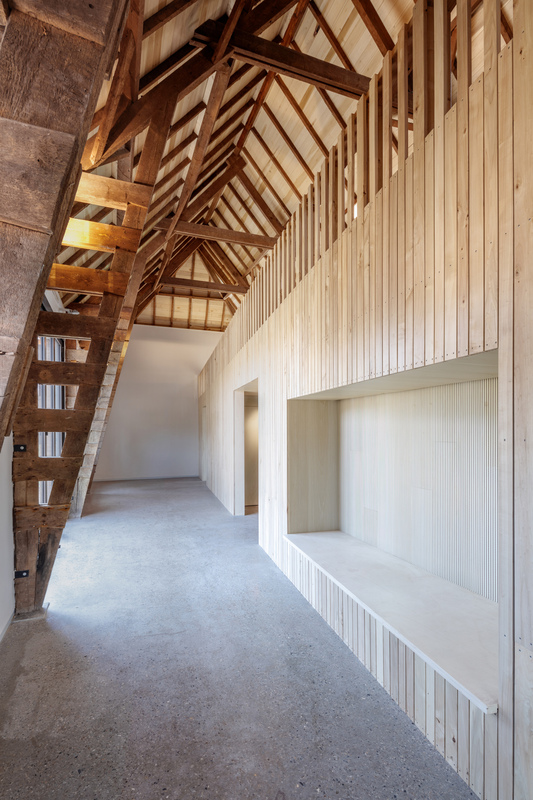 The barn is transformed with one simple architectural intervention. 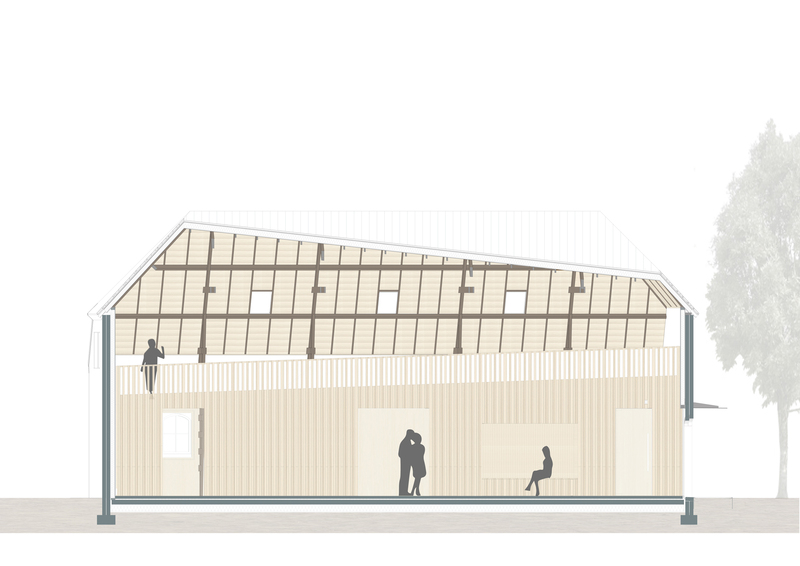 A new wooden volume in the longitudinal direction of the barn provides the museum with 3 zones. 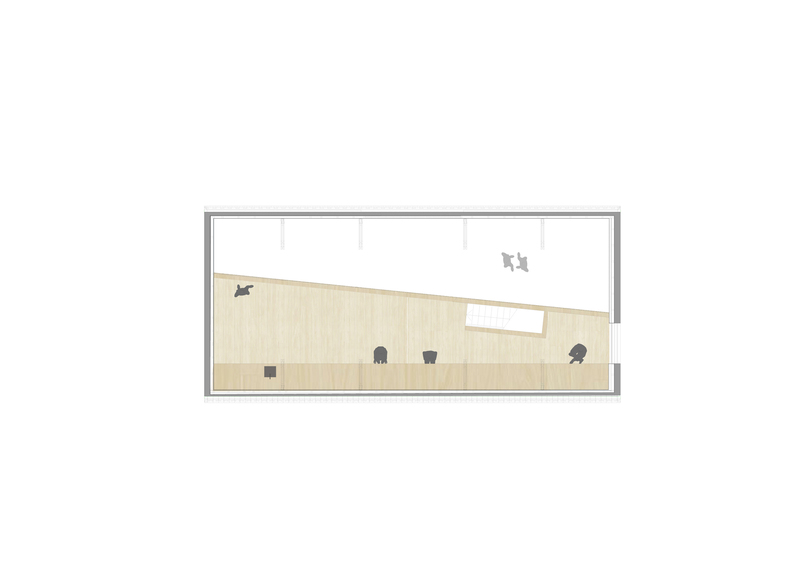 The ground floor is divided into reception- and exhibition spaces. The first floor is used as a study space for archaeological research. 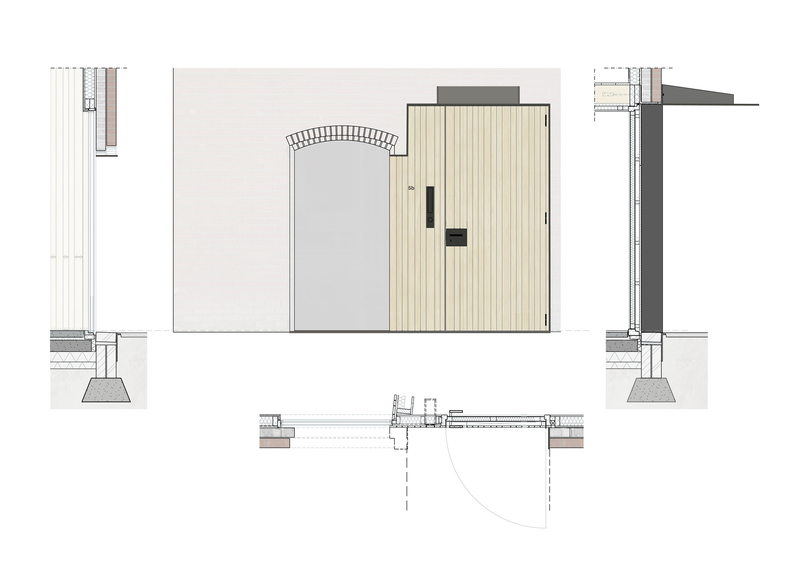 The wooden volume is positioned in an oblique line in the plan, this creates a surprising spatial effect. It opens up the view and emphasises the size of the space. It is a bold move that could easily have been predominant in the experience of space. However, this optically effect is further enhanced by a sloping line in the railing that helps to balance out the perception of the perspective and creates a calm environment. Limited changes have been made to the exterior of the barn. The entrance is marked but otherwise the appearance of the barn, that adjoins the monumental building, remains intact. The barn was efficiently built in a time of scarcity after the Second World War. Four atypical cruck timber frames are the most characteristic elements that indicate this era. The wood is unpolished rough but the carpentry is made with great craftsmanship. This combination of raw materials and sophisticated detailing is inspiring; it’s an approach that has been adopted in the new design. The most dominant new element is the delicate wood finished wall. Poplar wooden slats in three sizes are arranged in a continuous rhythm so that the vertical support structure of the railing remains out of sight. The Poplar originates from the Haanwijk estate. It is a special cut for this project from wood whose quality would not meet regular standards. The approach of raw and refined also shows in the diligent polished barn-like concrete floor that did not receive any further finishing material. Reset architecture embraced the “farmer’s efficiency” and continued the method of not doing more than necessary in a local and sensibly way. Most materials are bio-based. 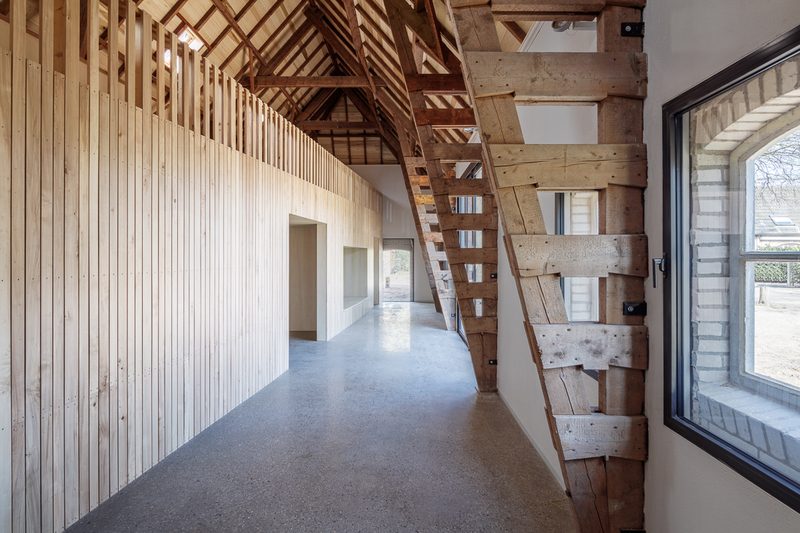 The barn is insulated with flax in timber framed walls finished with clay plaster. 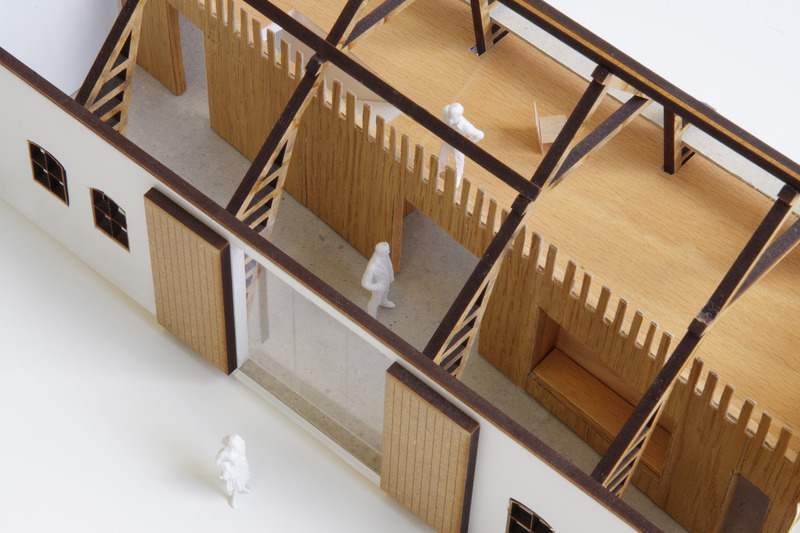 However, the interior does not present itself as a distinctive eco-architecture. The interior is a quiet and elegant background for the exhibition and a smooth continual factor of the landscape outside.